This new Kershaw's hunting knife offers multiple grip options and Kershaw's K-Texture on the handle for a knife that's designed to work with you. An oversized choil and thumb grooves on each side of the handle enable you to choke up on the blade when necessary. Mid-spine jimping provides a good grip for fine control. A big belly makes skinning easier. This new Kershaw&apos;s hunting knife offers multiple grip options and Kershaw&apos;s K-Texture on the handle for a knife that&apos;s designed to work with you. An oversized choil and thumb grooves on each side of the handle enable you to choke up on the blade when necessary. Mid-spine jimping provides a good grip for fine control. A big belly makes skinning easier. This folder opens manually using the large groove in the blade-so there&apos;s no thumbstud to get in the way of your work. A sturdy mid-lock secures the blade. The LoneRock Folding Drop Point is part of the LoneRock series of state-of-the-art hunting knives from the knifemakers at Kershaw. This new series offers a collection of tough, versatile outdoor tools made to stand up to just about anything your next hunting trip can dish out. Whether you need to choke up on the blade or grip the full handle for additional leverage, these knives are always easy to use and provide an extra secure grip. 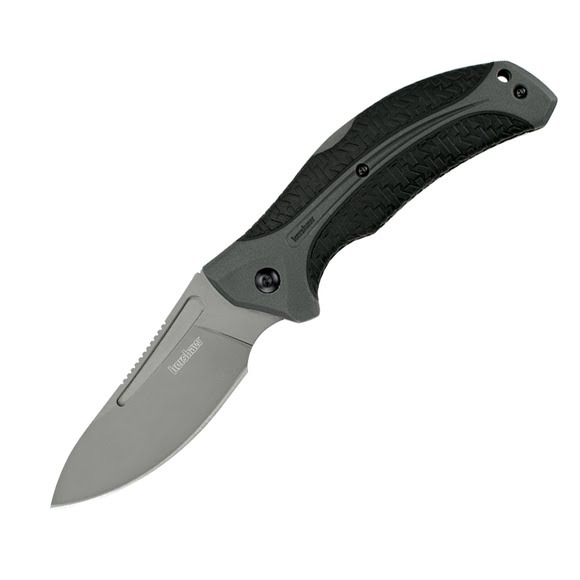 This knife is part of Kershaw&apos;s series of hunting knives-for the toughness, durability, and edge-holding capabilities your next hunting trip demands.